Is this a close-up of the iPhone 6? With the iPhone 6 release fast approaching, it's only natural that we're finding ourselves inundated with leaked shots of the upcoming cellular. Grapevine incarnate Sonny Dickson has tweeted a fresh snap of not one but three iPhone 6 dummies, lined up and sporting varying paintjobs. Dickson's known for dishing out well-sourced rumours, but this time he's one-upped hearsay with a close-up of what looks to be Apple's next handset. The devices, lined up in gold, space gray, and silver, don't sport Apple logos, which means the snapped blowers are probably dummy editions for prototyping purposes. 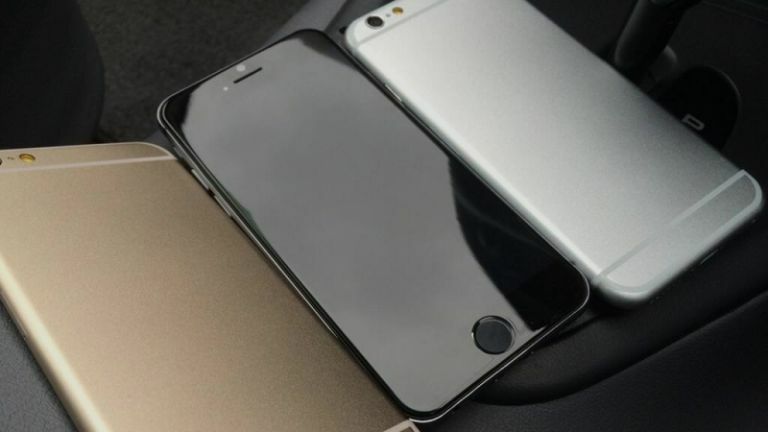 We've seen plenty of leaks showing off the iPhone 6/iPhone Air in recent months, and the latest image seems to stay in line with what we know. The iPhone 6 pictured looks like it has a larger screen with curved edges, a smaller width, and the iPhone 5S's fingerprint scanner. Head over to T3's iPhone 6 rumours page and check out our round-up of the latest on Apple's iPhone 6.
iPhone 6 review: can this stylish handset stay ahead of the Android pack?